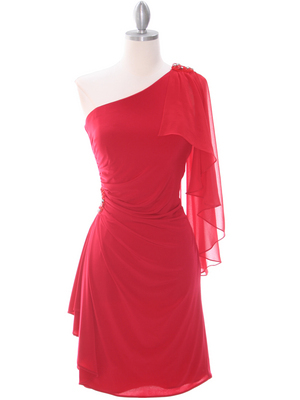 Red Chiffon High Low Evening Dress | Sung Boutique L.A. This charming chiffon evening dress features simple neckline with spaghetti straps. 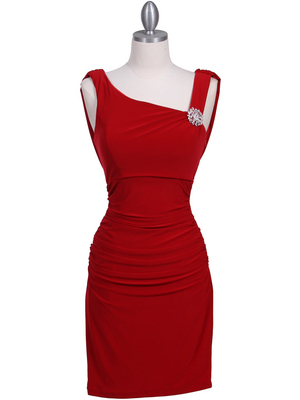 High/low hemline with rhinestone pin adorning the waist. Sheer overlay chiffon skirt finishes this beautiful look. - Rhinestone pin may varies. - Approx. 56 in. from shoulder to back hem.